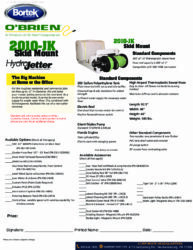 The O’Brien 2000 series allows for access to tough to reach locations. 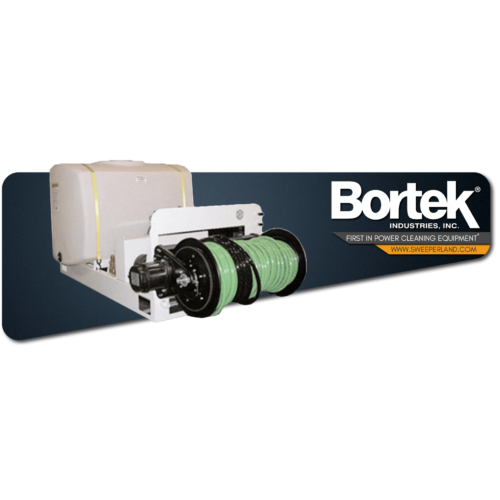 Specifically designed for use on residential and commercial jobs, the 2000 series offers a compact design with a powerful engine/pump combination. For the toughest residential and commercial jobs on lines up to 10″ in diameter, this unit takes your modest jetting service to the next level. As a skid mounted model, the 2010-JK carries its own water supply for ample water flow. This combined with its size make this a perfect unit to slide into the bed of a pick-up truck or back of a van.